It’s that special time of year in Canada - a long weekend, celebrating, in essence, that summer is only half over. 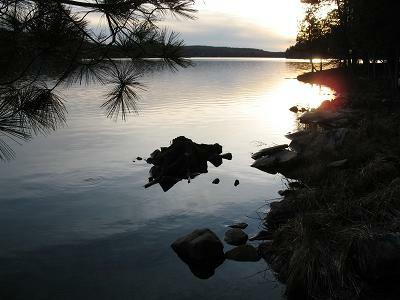 And for those lucky enough to be at a lakeside cottage or resort, it can also mean watching or participating in Regattas. 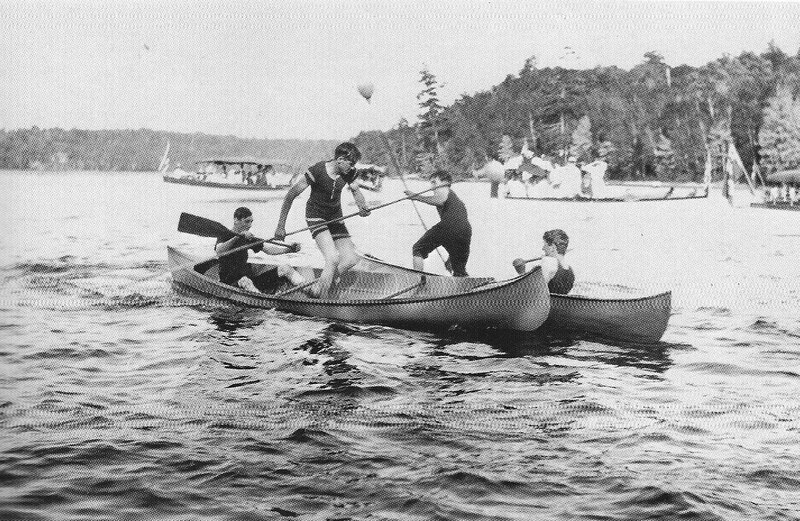 These are friendly, but often fierce competitions among amateurs in such traditional sports as canoeing, swimming, and sailing, and also quirkier events such as tilting - as seen in the photo above - and canoe races without paddles. Regattas can be held by just a few neighbours or run by organizations, such as the Muskoka Lakes Association (MLA), which has sponsored them annually for over a century. The MLA Regatta was already so popular prior to World War 1 that people came from Toronto just for the day, and special steamships and overnight trains took them home again. Hundreds of boats sat at anchor or were moored many deep at the docks and islands within view of the activities. At the end of the day, various resorts held dances because even the largest of them, The Royal Muskoka Hotel, couldn’t accommodate all the revelers. 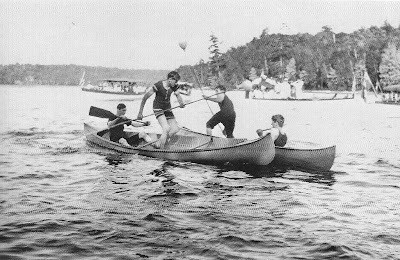 Canada’s Prime Minister, Sir Robert Borden, was holidaying at the Royal Muskoka in late July of 1914. 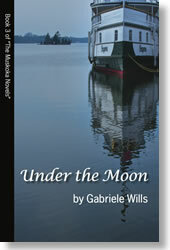 He was to have presented the prizes at the MLA Regatta, but was suddenly summoned to Ottawa a few days before. By the end of that long weekend, Canada and the world were at war. That’s the Regatta that I describe in my novel, The Summer Before The Storm - the last for some of my characters who go off to engage in a more deadly battle.